Another flea market find: a 1996 Star Wars Action Fleet Rancor! Like with the original, this mini Rancor can 'swallow' an in scale Gammorean Guard or whomever is unfortunate enough to fall into his pit. Move his arm up and down and his mouth moves to match. 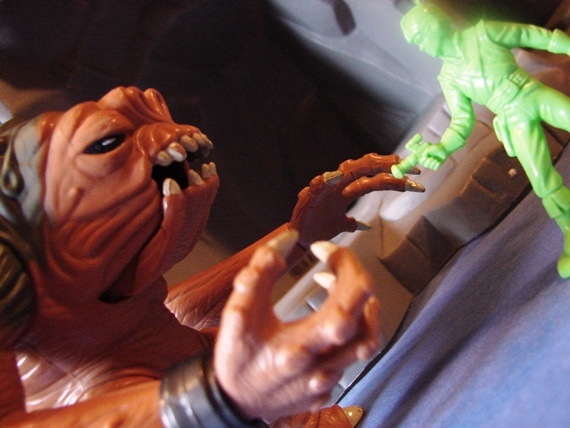 Mini Rancor also has a rear...umm...trap door...to release the figures. Not as graphic as it sounds, his hinged tail merely acts as a hatch and you can remove whatever folks he's swallowed. The only other Action Fleet anything I own is the Slave I, but I gave that to my daughter, so I didn't have it on hand for this photo shoot. Fortunately a Galaxy Laser Team Buck Gordon was around to join in the fun! PEW PEW PEW! Flea market find... not fair! Very cool! 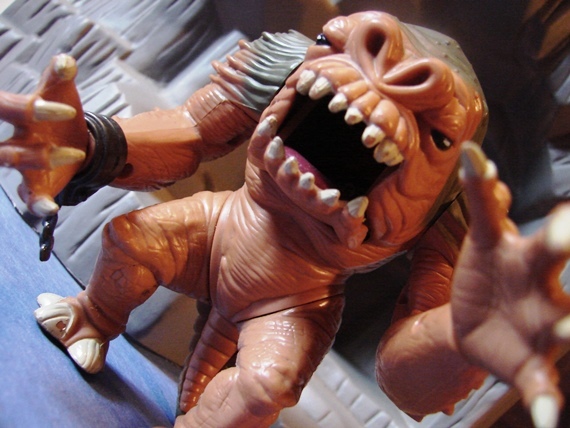 We own two different Rancor but not this one. Nice find! 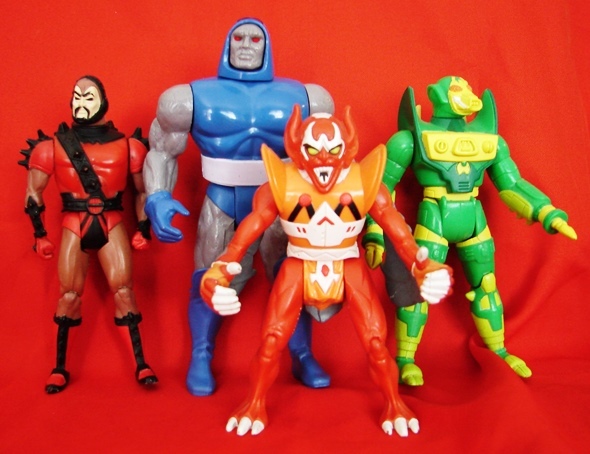 The Action Fleet toy line was amazing and I am collecting anything and everything Micro Machines Star Wars. 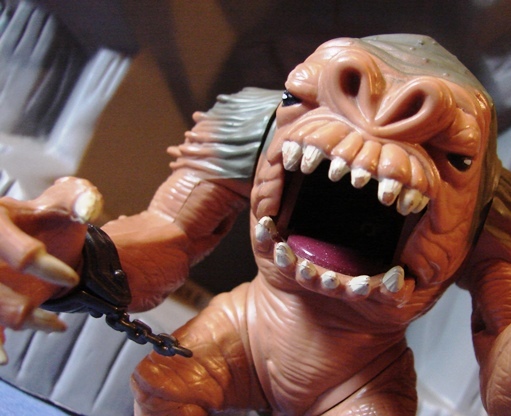 I have the mini Mirco Machines Rancor. 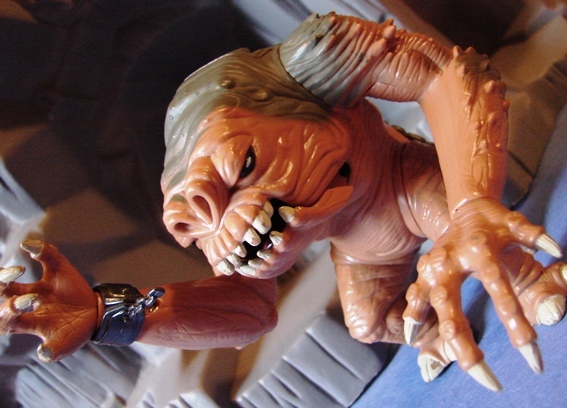 It would be cool to have a little Rancor collection in every scale and from every toy line.